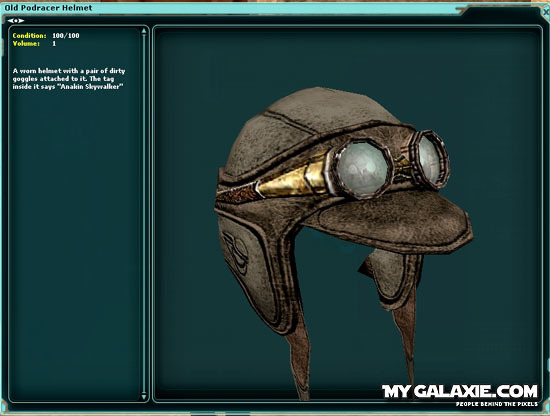 If your and Anakin Skywalker fan then you have to have this helmet and it pretty easy to get. 1. 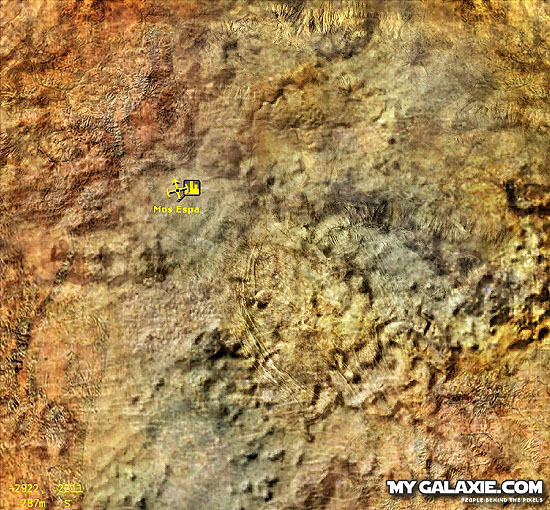 Head to the planet Tatoonie and select the city of Mos Espa located at -2887, 2494. 2. 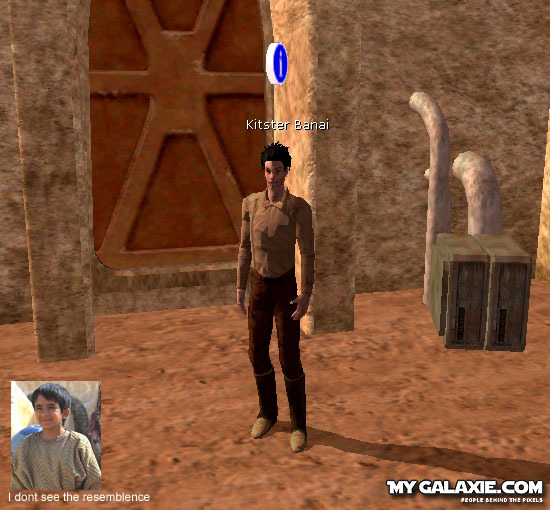 Go to the south west end of Mos Espa, where the slave quarters are there you will find Kitster Banai. Talk to him and he'll give you a job to kill some Jawas on his tall. 3. There is 1 Jawa that you have to kill and three defending him . After killing him head back to Kister and he'll reward you with Anakin's old pod racing helmet.